At The Hamilton Wealth Management Group, you are part of a small group of select high net worth investors who are looking for wealth management advice with a personal touch. We believe in the importance of providing client-focused, family-oriented service that is attentive and responsive, and achieve this by restricting the size of our practice. We keep the number of clients we service deliberately small so we can offer the personalized attention we believe our clients expect – and deserve. In short, we treat your family as an extension of our family. Our team is proud of the strength and depth of the relationships we develop with our clients. We focus on each client as an individual and work hard to learn about their family situation, to uncover their specific financial goals, and to help them articulate their estate planning and business succession needs. By working in collaboration with TD specialists, the team then develops customized investment strategies that reflect those objectives and can help clients create and preserve wealth for the next generation. Throughout, we maintain a level of communication that we think truly sets us apart. By intentionally limiting the number of clients we serve, we can dedicate more time to each client. We stay in touch with clients on a regular basis and are committed to ongoing dialogue and responsiveness. We believe you’ll notice the difference. At The Hamilton Wealth Management Group, we believe that asset allocation is the most critical aspect of investment management. Once we have a clear understanding of your investment objectives, we concentrate on identifying the asset allocation that can help you reach your goals while respecting your tolerance for risk and helping your portfolio to weather the inevitable storms of the financial markets. Our commitment is to guide you through these storms by adhering to the investment process that we put in place after our discovery exercise. Our team also strives to manage risk and lower volatility through diversification and alternative strategies. We use uncorrelated assets, ETFs and hedge funds to help diversify risk and protect against volatility. We make a point of explaining to our clients the risk level associated with every asset class; that way, we believe we can help to manage their emotions when the markets are volatile. Through The Hamilton Wealth Management Group, clients can access discretionary investing – an option that leaves the daily investment decision-making to us, so you’re free to focus on your other priorities. In exchange for one transparent, asset-based cost, we can drive your portfolio’s long-term objectives, responding nimbly to sudden opportunities and risks. Our strategy is guided by the customized wealth management plan we develop; it is based on your objectives and financial situation and sets out the asset allocation and diversification of your portfolio. At The Hamilton Wealth Management Group, we manage our own Canadian and U.S. equity portfolios that we include in both our discretionary and non-discretionary portfolios. We are dedicated to providing wealth management tailored to your specific objectives and personal financial circumstances. Through our client-focused approach, we can leverage our close relationships with a broad network of specialists who can assist with the development of a variety of solutions, depending on your needs. In collaboration with other specialists, we can assist with crafting the wealth preservation, insurance, estate planning and business succession strategies that are most relevant to your family’s situation. Chad Fink has a deep passion for the capital markets which dates back to his days studying finance at Dalhousie University. 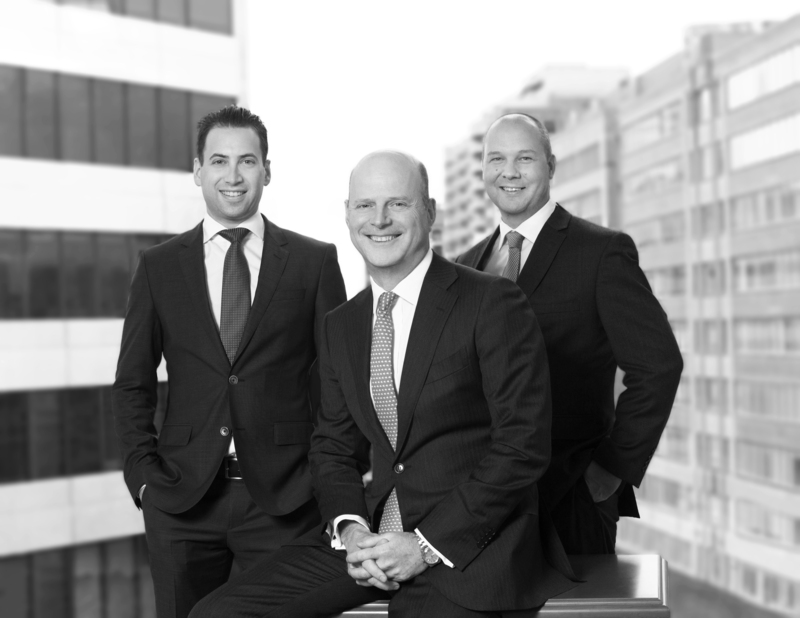 He joined The Hamilton Wealth Management Group in 2015 and assists Rupert in reviewing client portfolios to help ensure asset allocations are aligned with the team’s views on the markets as well as each client’s specific investment goals and risk tolerance. Chad is experienced in developing and maintaining customized wealth management plans for clients and shares the team’s commitment to making customer service a priority. A big proponent of lifelong learning, Chad frequently engages Rupert in discussion about market trends and individual investments. The team and clients alike can benefit from his millennial perspective and the insight he brings to the table. When he isn’t working, Chad stays physically active and enjoys playing hockey, softball, golf and dodgeball. David Iles began his career with TD in 2000. 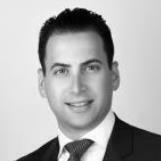 He has been working at TD Wealth since 2007 and joined The Hamilton Wealth Management Group the following year. Currently, David’s primary role is to support the team by providing exemplary customer service and helping to ensure administrative excellence – both with clients and within the group. He is working towards obtaining the Certified Financial Planner (CFP®) designation with a view to expanding his responsibilities. David studied graphic design at George Brown College and has completed the Canadian Securities Course, Conduct and Practices Handbook Course, and a Certificate in Financial Services Advice with the Canadian Securities Institute. 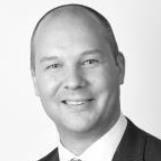 David is currently working on the Wealth Management Essentials Course. He was awarded the TD Star Award* in 2014. David and his wife, Maureen, are proud parents of two young children. He spends his free time taking his kids to soccer, dance and swimming lessons, watching documentaries and reading. 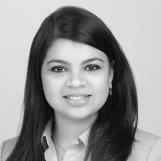 Toshina Mitra began working with The Hamilton Wealth Management Group in July 2018. She is extremely interested in learning about the wealth management business and is planning to develop her career in this area. Currently, Toshina provides administrative support to the team, including opening accounts, running reports and processing required documents. Before moving to Canada from India in May 2018, Toshina worked as an Assistant System Engineer at Tata Consultancy Services for two years. She holds a Certification of Competency in Business Analysis (CCBA®) from IIBA Canada and earned a Bachelor of Technology with a focus on Information Technology from KIIT University. Toshina has been married to her husband, Anindya, since 2016. She enjoys swimming and dancing, and has an interest in interior design.